THOR MOVIE POSTER CONTEST WINNER! Look for a review for All Flesh Must Be Eaten soon from the Keystone Gaming Society! Over the next few weeks, I will be bringing to light some good RPGs, both new and old, that can be yours for the amazing price of absolutely nothing. Notice I wrote “good” in the line above. These are not junk RPGs that some kid typed up in his basement over a weekend and uploaded to the Interwebs without a single playtest. 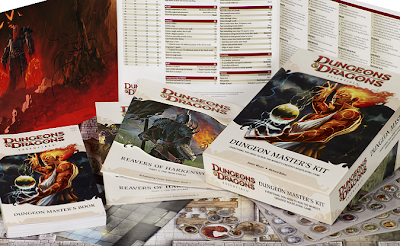 These are games that are fun, playable, and come with a wealth of detail and supplements to keep players and GMs happy for months. First up is the original Star Frontiers, available at http://starfrontiersman.com/downloads/remastered. This is not the D20 version, but the original game first published by TSR back in the mid-1980s. 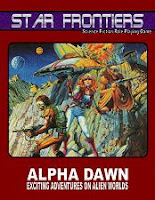 This site includes not only Star Frontiers Alpha Dawn, the basic rules set with various revisions and additions based on years of gameplay, but various supplements and adventures, all in glorious pdf format. The website also publishes an online magazine, the StarFrontiersman, with more valuable information for running Star Frontiers games. The game mechanics are based on a percentile system. Abilities for most characters range between 25% to 75%, and rolls for most actions are derived from those abilities. For example, shooting is ½ dexterity ability, rounded up (along with various modifiers), and melee is ½ of either a character’s strength or dexterity ability (again, along with various modifiers). Damage reduces a character’s Stamina ability, and if Stamina is reduced to zero, the character is dead. It takes more than a couple hits to kill a character, and advanced technology makes it easier to keep characters alive. Skills modify ability rolls by +10% for each point of skill. The result is fairly easy system that scales upward very well. Vehicle combat is included in the main rules and is surprisingly easy to run, considering the vintage of the core game. Spaceship combat is included in a separate ruleset called Knighthawks, also available in pdf on the same site. 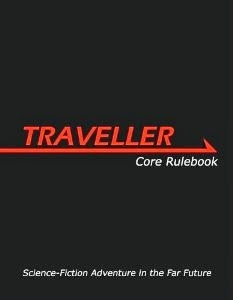 Character creation is very easy, especially when compared to its contemporary, Traveller. Also, unlike Traveller and very much like Dungeons and Dragons, characters get experience from surviving adventures, which they can use to increase their skills or develop new ones, or to increase their ability scores. The best thing about this game is the wealth of information and supplements available for it. 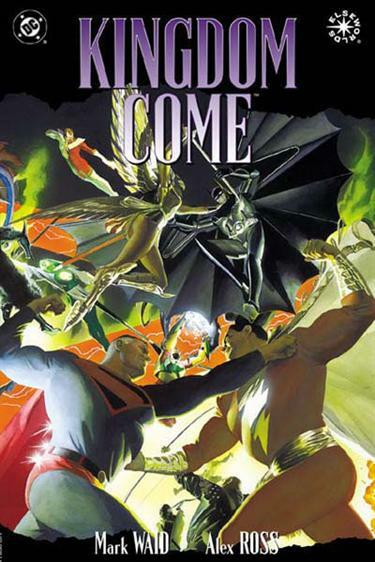 There are seven adventure modules, an expanded game version with more advanced rules, a space combat supplement, and a detailed campaign setting. It’s a lot of bang for no bucks. Settlers of Catan on Microsoft Surface... SWEET! Holy crow. This is the coolest thing I've ever seen. Like your iPad, iPhone or whatever. Check out this demo of Settlers of Catan on the awesome Microsoft Surface device. Welcome to the future of all gaming. Can you imagine how much faster combat would be in a role playing game if the map was digital? Simply amazing. I'm working on planning a vintage game day at Comic Store West in June or July. Anyone have any other 'classic' games to play? What game is up next for KGS? There's a geek-funny series of cartoon videos on YouTube called, "How It Should Have Ended." Basically, the name says it all. They take popular movies (particularly those that geeks might be interested in) and give it an alternate ending. They are quick astute and pointing out absurdities in movies and rectifying the situation by providing their own hilarious conclusions. Check out the samples below. Their website is www.howitshouldhaveended.com or you can find them all over YouTube. Sam arrives to the gaming table with a milk crated filled with role playing books. He ASSURES me that Rolemaster could be played with only two books but I don't believe him. 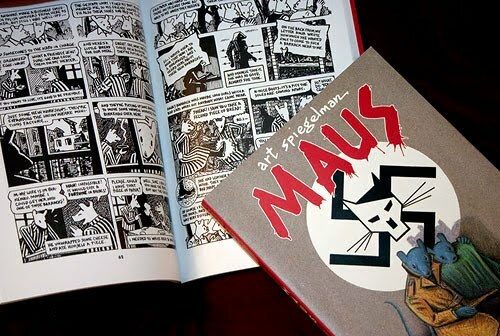 It seems as if each book is essential in some way - to play without, say, Spell Law or Arms Law, would be to play an incomplete game. It's not like Dungeons and Dragons in which if you didn't own the Manual of the Planes your game wouldn't suffer at all. To me it seems as if there is essential information in each book Sam lugs into my house. And that just seems to be the nature of Rolemaster. It's complex - and you're going to like it! Marlin and Dave joined us for the first time in the second session. It was good for me to see Dave, who has played Rolemaster for years, take two hours to roll up a character. All in all, a pretty good session. Despite the complexity of the system I am learning. Tracking experience is still a chore to me and I find myself searching at length the dozens of pages of my character sheets to locate skills and other character information. Sam is putting together a good story and I enjoy hearing him vocalize for the Frogmen, "Glug glug glug glug glug!" Yet another strong Catan Game from Mayfair - The Catan Dice Game. There are two versions of the Catan Dice Game - Deluxe and.... not deluxe. Go for the deluxe version - the alternate game board adds a great option and replayability to the board. I won't bore you with a detailed explanation of the gameplay - you roll the dice and use the result as resources to build stuff. The same core mechanics of Catan are still present. The game is nicely balanced and moves quickly. Oddly, the gameplay is very similar to Yahtzee Jr: Toy Story 3 Edition. My three year old son picked up on the game's mechanics right away. A couple of oddities, however. The cup that comes with the deluxe game is oddly large. Much bigger than it needs to be. Also, the game is packaged in a clear plastic that is awkward to store. The playing tablet is too big to fit into the cup and falls apart very easily leaving you with a slight mess of a game to store. I'm using a shoebox to store mine. For $25 you'd think they could have put it in a box for you. I would call this game a must-have for fans of the Catan series of games (and, really, who isn't a fan of Catan?). KGS Contest #1 closes March 25!!! The first ever Keystone Gaming Society contest ends March 25th! Get your contest entries in now! YOU can tell us what game to play and review! So far we've got a diverse range of games submitted. Don't let the opportunity to win the original Thor movie poster pass you buy! See the contest details at the sidebar article at www.keystonegamingsociety.com. Rocky is to Philadelphia as ___________ is to Detroit. You're right if you said ROBOCOP. Apparently an internet joke has started a firestorm of calls to erect a RoboCop statue in Detroit. 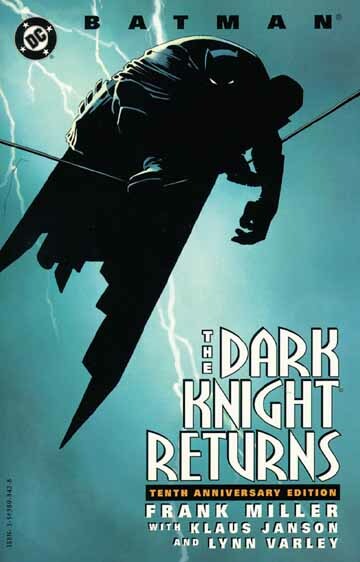 Could it be that the city that is down and out simply needs a hero and that RoboCop IS that hero in real life? Over $50,000 has been donated privately for the construction of the statue as of Feb. 16. The mayor was originally against it but has since moved to a position of considering allowing donated "public art" to be displayed in a city park. So while Rocky got his statue removed, RoboCop may have an entire city rally around his new statue. You go, Detroit, Go. Every once in awhile a great idea comes along. The wheel. The lightbulb. Pride and Prejudice and Zombies. Pride and Prejudice and Zombies is a re-imagining of Jane Austin's original 1813 novel. Just based on concept alone, this one is a winner. What if Zombies suddenly walked into a classic Regency-era England storyline? 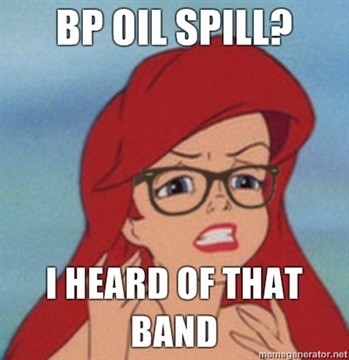 Sheer wonderfulness, that's what. This novel has been so popular that there is a prequel (Pride and Prejudice and Zombies: Dawn of the Dreadfuls), a sequel (Pride and Prejudice and Zombies: Dreadfully Ever After), an upcoming movie, an upcoming video game, a graph novel adaptation and plenty of imitators. Other novels released in this same genre include Sense and Sensibility and Sea Monsters; and Abraham Lincoln: Vampire Hunter. I can't wait for The Body Snatchers in the Rye. About once a year I come across a gaming book that is just leagues past the others. Six years after it comes out I find out that this is one of them. There are those books that you see when they first come out and you thing "That looks cool", this was defiantly one of those. I have a proclivity for Dwarves but I know very well that most my players don't share my feeling so I passed on this one when it was full price. I pass up at least thirty game books a year just because I don't think I could get my players to play or because I don't think we'd ever get around to using the book. Cost verses usefulness, mind you I never saw the book, ruled this out for me. Years passed and this Christmas Fantasy Flight had their yearly big sale. Karak Azgal dropped down to around $4, at that price you can sell me about anything. This is one of the best resource, adventure modules I've seen in years. It was an enjoyable read from start to finish giving you a all you need to make a the Dwarven Hold of Karak Azgal feel alive and real. I could break down, chapter by chapter, what Karak Azgal is filled with but I know that with a little bit of time you could find several content review out in internet land. 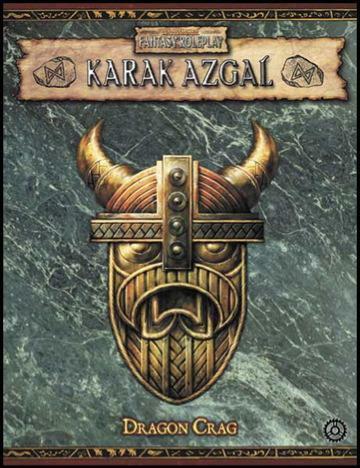 What I will tell you about Karak Azgal is that its more a campaign setting with some encounter areas defined to help you out. What it is is a Campaign region with an adventure or 3 to give you a feel of the new town above ground and the old Dwarven hold below ground. Area maps, region maps and even cross- sections are included to give GM and players a comprehensive view of what the old dwarf hold has become. 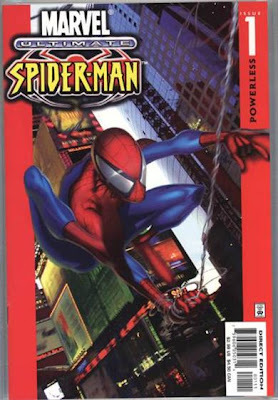 If you can find a copy of this grab it. Even if you don't play Warhammer 2nd or 3rd edition this source-book is a great resource for any of your fantasy adventures. For my afternoon session at the Open RPG Day March 12th, 2011 at Comic Store West's morning session, I ran one of my favorite games, Atomic Highway! Three players from the last Open RPG day came back and 3 new ones joined them on and adventure named Milk Run. Spoiler alert! I'm going to write this adventure up and post it on our sit for Game Master to use. So if you might be playing in it you don't want to read it!! But let your GM's know its out here for them, thanks! Boss man Billy G, owner of BG's Raceway and the town of Chappell called the group up to have a chat with him. he's got 2 of his favorite drivers, hurt in the last race, that he wants taken to the monks of Comfort In Gods Arms right off old exit 177, just south of New Platte. Along with the 2 drivers he wanted them to haul six 55 gallon barrels of milk. They would give it to the monks and the monks would give them back a bunch of tech stuff. When they ask the boss why they wanted milk he said he didn't know but they did good trading so it didn't matter to him. He also gave them a truck to haul the milk in and told the group that his drivers, the milk and the truck were worth more to him then the whole group put together, so don't let anything happen to them! The game then opened into the middle of a road combat. It ended in the players destroying 3 raiders and their Road Warrior flipping his Mustang and all but dead as the Police of Big City, pre-death Ogallala, drove up and checked out the situation. The policeman then sent them on their way. At exit 177 they found the Comfort Inn that had had the last 'n' knocked off and huge metal letters hanging below that said Gods Arms and front of the building was a Pre-Dark War Memorial or 3 soldiers and a huge metal plate with a large pyre burning on it. The monks met the party in the parking lot and took the Road Warrior and other 2 injured while other monks came with dollys to claim the barrels of milk. The Monks then told them that they did not have the high tech items for them today but tomorrow the truck would come with the shipment and they could have the tech items and their healed wounded back. They were welcome to stay in the parking lot over night but they were asked to please stay in their vehicles. When asked why they wanted milk one of the head monks ran back into their building and returned with several pre-death magz and showed them pictures of people with milk mustaches. Then he pushed back his own cowl and smiling big, with a white upper lip he said "Got Milk? Milk does a body good!" Being very pleased that someone was interested they went about their own business. In the middle of the night the group was awoken to chanting. They saw 11 monks carrying 3 blooded white sheets wrapped around body shape figures. Thinking they saw one of them move the party quickly ran over and demanded that the monks put down what they were carrying. The monks assured them that all was as if should be and that they were to return to the cars. The monks didn't stop and the players opened fire on them. As one went down to a players flame thrower the monks begged the party to allow them to do what MUST be done. After several monks had been killed the rest dropped the bed sheets and ran into the Inn locking themselves inside. While inside the sacks they found 2 bodies they could not identify and their road warrior who was drugged and groggy. From the Inn speakers boomed and the monks said that they have not yet harmed the group and they must be allowed to complete the ritual. When they asked why they had tried to sacrifice their road warrior the monks replied that he was he was to far gone to waste the gods healing upon. The player they took the dead monks and the two dead and placed them in the pier and returned to their cars. Volvo, the one played stayed and help the monks when they came out and finished their ritual. This involved letting the bodies burn and then using shovels to scoop out the remains and pile them by the edge of the small nearby lake. Before returning to the Inn they told Volvo that since he showed interest and had not harmed anyone if he wished he could join them to become an initiate of the monks order and they would expect an answer in the morning. The next morning the party was taken in to see their friend and then two wounded road-warriors from Chappell. Inside the Inn they were amazed by the amount of high-tech items they saw and they were pretty sure that what they were seeing was more advanced then any pre-death stuff they'd ever seen. Volvo's stayed to start his initiation while the rest fo the group drove north up 83 to visit the huge trading post they had seen on the other side of the interchange. The pre-death building was shaped like a old wooden fort with machine gun emplacements along the walls and in the towers. They were met our front by a man dressed in a loin clothe and huge feathered head dress who invited them in to trade. After shopping (funny a one off game and the players still want to go shopping for gear! =) ) and as they were leaving they felt the ground vibrate and the feeling grew stronger and stronger when from the north a well kept Semi with blackened windows and pulling a short box drove by. It made no noise at all and if it wasn't for the ground vibrating they'd might not have noticed it. Sure that was the truck with the tech they headed back to the inn. At the Inn Volvo had been given his initial classes and given holy milk to join him with the monkhood as an initiate. When the truck arrived he was put to work emptying out crates of tech items and then filling the truck with 55 gallon drums of milk. When it was completed he noticed the leader of the monks walk up to the tractor of the semi and from it climbed down a small grey skinned mutant with skinny arms and legs and big almond shaped eyes. After the two of them spoke the mutant climbed back into the truck and it departed. The party return and had their tech and wounded, now fastly healing, put on their vehicles and wished a safe trip. Volvo was told to return to finish his initiate period and released back to his friends who found that his upper lip was stained a permanent white. Several of the group wanted to follow the truck back to where ever it came from but the wiser prevailed and the group returned to Chappell to give the Boss his tech and his, now healed, drivers. Back at Chappell the boss filled thanked them and filled all their tanks and supplied them with ammo. The game ended with Billy G. promising some party members a motorcycle and a battle car if they drove for him, and won, in the up coming race. Of course they accepted and you can expect that next Open RPG day's Atomic Highway game will start at B.G Raceway! I can't say enough about this system. Atomic Highway is great for high-action quick play games and it lends itself to role-play events like Comic Store Wests Open RPG days. Nothing tells you that people enjoyed it more then when someone buys their own copy after playing...so far I've sold 3 copies! You guys that played ~ Thanks for playing, see you next time! 1) "Yes, Dear." - Now, you may be whipped and have to do whatever your gal says, but don't bring it to the gaming table. I was in a gaming group where the boyfriend's character would agree with anything his girlfriend's character wanted to do! If it came down to a party vote, the girlfriend at best had a tie, two-two (there were four party members). VERY frustrating to have one character control the entire party because the boyfriend can't say no. 2) "I can't afford a diamond necklace, BUT here's a +12 Hackmaster, dear!" - In another group, the DM was the boyfriend and the girlfriend was a character. She got what she wanted, darn the rules! They lived together and she'd bend his ear all week so that by the time the rest of the group got to the gaming table, she'd have this over-optimized super character. Also a little bit of #1 with this case - but it was WORSe because the boyfriend, the DM, sided with her ("No, you guys can't do that because...."). 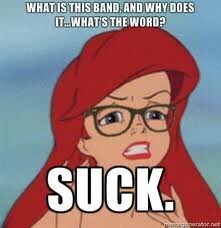 Ugh. 3) "All of our characters are married!" - I role play to, you know, PLAY A ROLE. Couples that have to have all of their characters be couples too disturb me. Being jealous of your significant character isn't cool either. What, my character can't hit on your girlfriend's female elven sorcerer just because you're dating in real life? 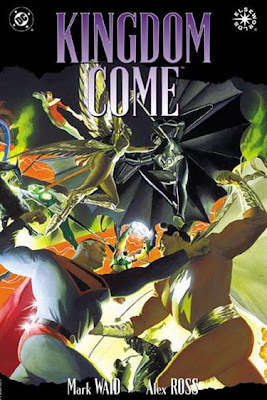 4) "I'll rescue you, dear!" - Overly protective couples can be a problem too. For example, my character is lying on the ground bleeding out at -4 but the party cleric has got to run over to protect his wife who is fending off a troll. Dude, she the FIGHTER! She can handle herself! A little help over here!?! 5) "We had a fight." - You know what's worse than gaming with a happy couple? Gaming with an UNHAPPY couple. If our party is going to dissolve into a fight/debate/brawl, let it be over the thief pocketing a ring or something NOT because Mr. Hubby failed to change the kitty litter. So, in conclusion, if you're a couple that role plays together, make sure any of the above scenarios aren't you. If they are, change for the sake of everyone else at the table. Show no favoritism to your significant other in any way. Let your characters be just that - characters completely independent of your real life feelings for one another. Gaming Girls can be awesome but if you're a guy gamer and you've got a girlfriend that doesn't game you should be grateful. Alright, I was one of those Star Wars fans. I hated Mace Windu's violet lightsaber. I've since made peace with the *shudder* purple lightsaber, but I couldn't help but notice two lightsabers from the Clone Wars CGI television show. The first was a WHITE or SILVER lightsaber. Tera Sinube is the Jedi that carries this lightsaber. He actually has the handle of it concealed inside his walking cane. Very awesome lightsaber. The second was a BLACK lightsaber. Pre Vizsla wields the black lightsaber. Apparently, this lightsaber is a Jedi/Sith artifact that was stolen from the Jedi Temple. Pre Vizsla isn't a Jedi or Sith - he's the head of the Mandalorian "Death Watch" terrorist group. This lightsaber is actually not round - it has an edge like a blade. Very cool looking lightsaber. So, see - once you accept purple and yellow lightsabers, the sky is the limit. In fact, I check it out on Wookieepedia.com (http://starwars.wikia.com/wiki/Lightsaber_crystal) and there are literally DOZENS of lightsaber colors from bronze to pink (yes, pink) to rainbow to brown. I'm fairly certain that you could collect enough different colored lightsabers to match every crayon in a 64 count Crayola crayon box. Is this sacrilegious? Ridiculous? Silly? Unnecessary? Perhaps. But I have to tell myself it is not worth getting upset over it. 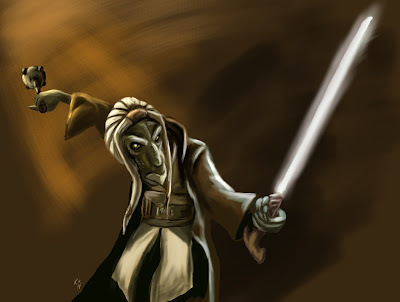 A cool character is going to be cool no matter what color lightsaber you put in his hand. Except pink. My copy of Moto GrandPrix finally arrived this afternoon. I love this game !! Same and I played a few weeks ago and I was hooked immediately. It was so easy to learn (which is important because I am dumb). I plan on playing it with my 10 year old daughter tonight and will report back how the race(s) went. Thursday, Feb 10th 2011 the Comic Store West in York PA. held its fourth DUST Tactics League Night. Brian and myself, Sam, of the Keystone Gaming Society hosted it and we've grown from just Brian and I to 8 of us. We ran 2 rounds, like we've done each night, and could have gotten in a 3rd if I hadn't come an hour late! . For all the guys it was their first or second games and their response was great. Winning or loosing didn't matter, all of them enjoyed it. I told them all about the products that were coming out and the direction the games going from artillery to beach assaults. All that and the fact that DUST Tactics is 1/48 scale-O scale and that you can buy or use any models or railroad stuff to add to your table was one of the games big selling points to them. Our Thursday night in the back of the Comic Store West are shared with Magic players and its from them that we've drawn 4 of our new players. They've watched us play and we invited them to try it and now two of them are selling some of their cards to get they're own box sets of DUST Tactics. Talking with them I think its interesting how they have notice that winning a normal game of Magic is as simple as putting more money into Magic. What I mean by this, and its true of many other games too, is that if you spend $100 in Magic cards you'll generally do great against those that have spent less then you. Go up against that guy or gal thats sunk $1000 into his card set and your going to find yourself beaten to a bloody pulp! What they saw in DUST Tactics that they liked is the balance in the game. You buy the main box and you have everything you'll need to play. The two sides are balanced from the start, done and done. Next weeks going to see the entrance of some new characters and the new rocket laden tanks of the Axis and Allies coming to battle! If our numbers stay high for the next couple of weeks I look forward to doing a small map campaign with the guys maybe using the DUST board game for its background and engine. If you don't know or haven't tried DUST Tactics you can check out our Podcast review (8b) and stop out some Thursday night and give it a try! For Open RPG Day March 12th, 2011 at Comic Store West's morning session, I ran Deathwatch. This was my first time running or even playing Deathwatch and I was quite thrilled to do so, being a huge fan of the 40k universe. Warhammer 40k has been out since 1987, since its release it has begged to be a RPG. 24 years has only made the universe richer and fuller with a constant stream of gaming products, video games, books and even videos. 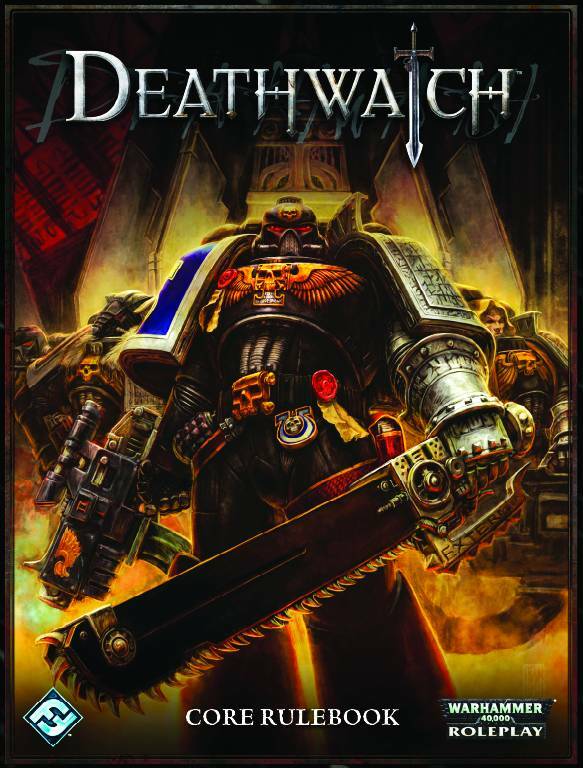 Last years release of Deathwatch really has been the pinnacle for us Role-players that have loved the richness of the 40k universe all these years. 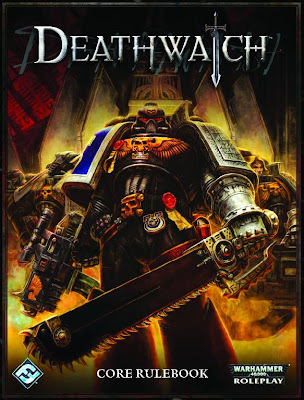 In Deathwatch you play one of the Emperors finest, a Space Marine that has been seconded to an elite unit where your attached to a Kill Team of Space Marines from various chapters. Without spending to much time on it, remember theirs 24 years of history here, Space Marines are genetically altered superhumans. The Kill Team 's Watch-Captain told them that they were going to be teleported into a rebel city where they were to kill the traitor Lord General Kahn. As a secondary objective they were to kill his advisors and after that they were to destroy or disrupt as much of the cities infrastructure as they are able to before being brought back onto the cruiser. As the team were taking their oath's of battle the Watch Captain told them that the ancient vault had opened and that they would have to go in and see why because it was most likely because of their mission. Within the Omega Vault they found a chamber that contained a large pineapple shaped device. Obviously some type of ancient tech they took it with them on the mission. They chose to land on the road that was lined with Imperial Shrines only to find that all the shines had been leveled. After killing a traitor officer that had seen them they made their way to the Admin Area to the north. heading to the command center they first found a square with a priest lecture a hoard of armed workers. The close Assault Marine made quick time of the priest while the Devastator Marine quickly broke the hoard and then mowed the remaining ones away as they ran. Getting to the command center they found only a crater remaining. They then broke into two teams, one heading to destroy the Munitions factory while the other took out the power plant. At the Munitions plant they fought 2 Chaos Oblivators before the Blood Angel got a bomb rigged to take out the factory. Escaping in a flyer they flew to retrieve their team members at the power plant. Mean while at the power plant the other half of the team had cleared any resistance and set Krak grenades on the generators deep in the power plant. Reunited they then touched down in the crater of the command building to get some medical aid from their 2 medic's. Leaving there they drew some unwanted attention and started being shot at by some Lehman Russ battle tanks. The pilot did all he could and managed to crash only 200 meters from the cathedrals entrance in the middle of a company of tanks. As they ran to the Cathedral they were destroying tanks and troopers when the tanks started to become more organized. Thats when the Dark Angel Assault Marine noticed the traitor Lord General Kahn walk out of the Cathedral. Calling out what he saw to his Kill Team he used his jump-pack to close and attack him. While he was still airborne the Blood Angel opened up on the general with his heavy bolter ripping him to pieces. With the general gone the troops of the tank company broke and abandoned their tanks. Inside the Cathedral they pressed the button on the top of the artifact and called to be teleported up to their strike cruiser. From space they watched as atomics devastated the city below. Those familiar with 1st or 2nd edition Warhammer, Dark Heresy or RougeTrader (the rpg) will find the Deathwatch a familiar system while those new to it all will find it easy and fun to learn. The system works well and all you need is within the pages of the Deathwatch rulebook. The book is packs with history and teasers so that even those that have been closet-bound and know nothing of Warhammer 40k will be an expert and dying to play after a good read. If you have a group of 40k fans that role-play or would even try role-playing this game is a must play! As a matter of fact you find the group and I'll gladly run an adventure for you all! For Open RPG Day at Comic Store West, I ran Lone Wolf Multiplayer. This was my first time running or even playing LWM and I was quite thrilled to do so, being a huge fan of the class '80's solo adventure books. I ran the adventure, Radak's Revenge, published in Signs and Portents #88 from Mongoose Publishing. There were five people in my gaming group: Dave1, Dave2, Craig, John, and Mike. The party consisted of a Kai Lord, Knight, Dessi Magician, Dwarven Gunner of Bor, and a Ranger. ACTION SUMMARY: Sent on a mission to stop an evil Cener Druid, the party gained passage on a ship to reach their destination. They met four other passengers: Shakara the adventuress, Vemsen the merchant, and Ulnic and Mulnic, twin Knights. Pirates attack but a clever use of the Elemental discipline allows Craig to thwart the pirate attack without ever engaging in combat. Unfortunately, two headed crocodile creatures named Storghs attack and the party barely survives. It is in this sad state that they discover the Storghs were no random encounter but that they were lured to the ship by a traitor. A quick interrogation of the passengers reveals that Shakara was responsible. Her treachery revealed, she unleashed a fiery attack, killing the Kai Lord in his weakened state before being slain herself. The party reaches their destination and coincidentally finds another Knight to replace their fallen comrade. After purchasing horses they set off to the village where the Cener Druid is located. Once again using their disciplines wisely, they avoid a deathly ambush by Beastmen and arrive at the village. They quickly attacked by Beastmen and the druid. The ranger falls victim to the druid's wrath and with the party on its last legs they manage to eek out a victory, stopping the druid's dark plans. It's my belief that all involved had quite a good time. I thought the adventure was very well written and I thought that the players really used their characters to their fullest potential. I did homebrew some combat rules including an alternate combat results table which you can find linked under RPG documents on the right. In conclusion, I'm looking forward to playing Lone Wolf Multiplayer RPG again soon and I would like to thank Dave, Dave, Craig, Mike, and John for a wonderful afternoon of gaming. FOR SOMMERLUND! Have you ever been frustrated by a video game? Was the game too hard to beat or simply not worth the money you paid for it? 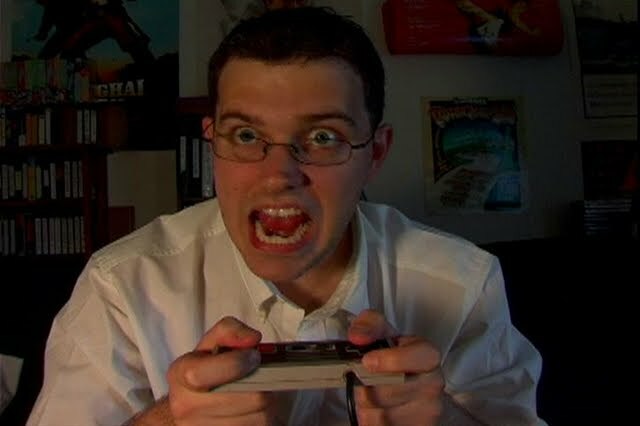 Well, meet someone who can sympathize: The Angry Nintendo Nerd. Yes, he's ANGRY and very, very vulgar. Some of his favorite words are curse words we don't say here at KGS. Ironically, the Angry Nintendo Nerd actually loves Nintendo. The Angry Nintendo Nerd has EVERY game and accessory for the original Nintendo Entertainment System (NES). He posts video reviews of NES games to YouTube - but only the horrible ones that infuriate him. His hyperbolic responses are fantastically hilarious if you can stand the profanity. But he does make quite a few valid points that make old NES fans like me feel both nostalgic and empathic. His videos are very well produced. The opening credits have a very catchy theme song which aptly sets the tone (He'd rather have a buffalo take a diarrhea dump in his ear...). He illustrates many of his points by showing the actual action on screen from the NES game. I won't embed the video here because of the vulgarity, but if you wish to check it out, there are dozens of videos from the Angry Nintendo Nerd on YouTube. Up, Up and Away In My Beautiful... House? I liked the movie UP. Don't get me wrong. It had great characters and I felt in general it was a very well done movie. Except for the entire concept. You know, a house getting ripped off of its foundation when an old man somehow in secret ties 50,000 balloons to his house in the dead of night without anybody noticing? Yeah, that concept. And these weren't magical balloons or flubber-balloons or anything else. That I could buy into if not believe. These were NORMAL balloons. Sam lead his friend John and I in a Rolemaster session. Honestly, before Sam brought up Rolemaster I'd never heard about it. But Sam raved about it - "It's so great. It's so realistic. After playing this you'll wish all RPGs are like this. It has literally everything!" Well, I'll say this. It certainly is complete. The character sheet... um, I mean BINDER is, like, twenty pages long. It took me a good solid three hours to create my character. When I leveled up that was another thirty minutes or so. Perhaps a bit much for my taste, but I do feel that this system holds a great nostalgia factor for me. How can that be if I've never played it? Well, it reminds me a lot of DnD 2nd Ed. I LOVE second edition. 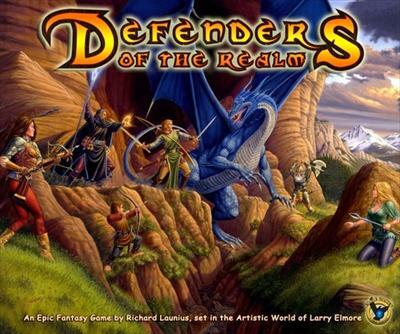 Probably my favorite edition of DnD. No grid (unless you want it). No minis (unless you want them). IMAGINATION. Rules are less important than social interaction ("Tell me when the orc is within 100 yards and then I'll start firing). Ahh, when things were simple. And I guess that's the feeling I walked away from my first Rolemaster experience with. Although the character development is very complex and there are charts and tables and it goes on and on, I found it to be a lot simpler and easier than battle on the grid (a la 4th Ed. DnD). Combat flowed fruidly and naturally. We got some good old fashioned role playing in and it felt good. Looking forward to learning the system better and developing my character and the party. Keystone Gaming Society goes full high-tech. I've added our podcast feed to iTunes (will take a few days to show up). I've also updated all of our past podcasts to be fully smartphone compatible so you can listen on your iPhones or iPads. I'm still tweaking but I'm done for the day (5 hours is long enough to work on it). And finally we are on iTunes !!! Sam and I recently played the Alvin and Dexter expansion pack for the Ticket to Ride board games. My initial impression is that this is a fairly innocuous expansion that can be added to your game without a major impact. This expansion is usable with any Ticket to Ride game which is nice. The basic gameplay is this: In addition to your normal turn you can move two monsters around the board. They can block you from building into a city and can affect scoring at the end of the game. First, the actual design of the monster pieces is a bit suspect. They are a little more than topple-prone. They have tiny bases (by necessity since they need to fit into a city) and both monster figures are oddly leaned forward. The affects on game play in a two player game were minimal. Really Sam and I only moved the monsters three times in our game. 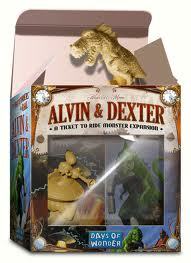 I believe there would be much more action with Alvin and Dexter in a four or five player game. Players may want to consider strategy changes using Alvin and Dexter. Suddenly locomotives (wilds) become much more valuable since that's the only way to move the monsters. Many shorter routes may be more desirable than one large route to avoid having a big point route halved. Also, it may be a good idea to build a little beyond your destination to avoid making your destination city an obvious target. Instead of simply halving a ticket when the monster ends in one of the destination cities on that ticket, why not cut all tickets in half that must pass through that city? This would promote players making alternate routes to avoid this outcome. Perhaps you could assign specific powers to each of the monsters... perhaps Alvin can move further but Dexter can remove trains from the board. Instead of locomotives, have the cost of moving the monsters scale like a train station in TTR: Europe - the first time is one card, the second two of the same type, the third, three, and so on. Overall, this expansion is pretty "vanilla," - especially when you consider the concept of adding monsters to a train game. The rules are surprisingly sparse but the concept offers a lot of potential for home brewing some rules. At the end of the day, this expansion costs a mere $13.00 so how can a Ticket to Ride fan say no? This trailer is a fake but it shouldn't be. Who puts this much effort into an April Fool's Day prank? This year I'm REALLY going to have to step it up with the other members of KGS for April Fool's Day. Perhaps I could delete all content from this website not posted by me (like, four posts, really. Shouldn't take long.) and then lock everyone else out as administrators. That would have me in stitches for hours thrashing around on the floor (as the rest of KGS beat me to a bloody pulp). But it would be worth it. For April Fool's Day.